Trouble with formulae? Lookups not going so well? The Wizard of Excel can help. Dan Harrison offers practical tips and examples, as well as Excel training and consulting. My friend Sharon yesterday was trying to get her head around the COUNTIF function. Its syntax is odd, so I sympathise. Here's why. COUNTIF takes two arguments: a range and a condition. The range is the thing that you'll count a subset of. The condition is used to evaluate whether or not to count each entry in that range. If you have a range containing the values 1, 2, 3, 4 and 5, a condition of greater than or equal to two will yield a count of four, for example. The range is easy to specify. It works like any range that you'll find in any formula. Use dollars or don't, it's up to you. This concatenates the value of cell A2 on to the end of the ">=" to form the inequality. Hope this helps in your counting. I think everything posted made a great deal of sense. However, what about this? what if you added a little content? post title that grabbed people's attention? 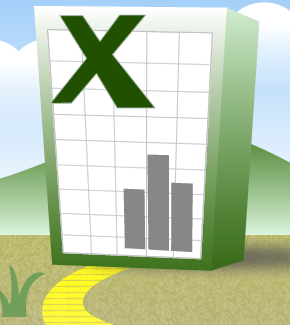 I mean The odd syntax of the COUNTIF function | Wizard of Excel is a little boring. they write article titles to get viewers to open the links. two to grab people interested about everything've got to say.